Satisfy your inner culture vulture at Christuskirche and National Museum of Namibia. 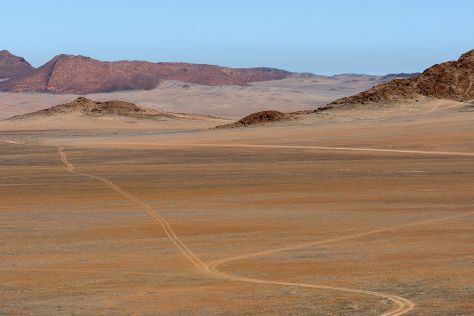 Step off the beaten path and head to NamibRand Nature Reserve and Fish River Canyon Nationalpark. Step out of Windhoek to go to Otjimbingwe and see Rhenish Mission Church, which is approximately 1h 50 min away. The adventure continues: see exotic creatures in open habitats at a safari tour, examine the collection at Trans-Namib Railroad Museum, pause for some serene contemplation at St Mary's Catholic Cathedral, and stroll through Daan Viljoen Nature Reserve. Quickly create a custom-made itinerary for Windhoek using our trip planner. Amsterdam, The Netherlands to Windhoek is an approximately 17-hour flight. Due to the time zone difference, you'll lose 1 hour traveling from Amsterdam to Windhoek. When traveling from Amsterdam in May, plan for a bit warmer days and about the same nights in Windhoek: temperatures range from 30°C by day to 13°C at night. Finish your sightseeing early on the 26th (Sun) to allow enough time to travel to Luderitz. 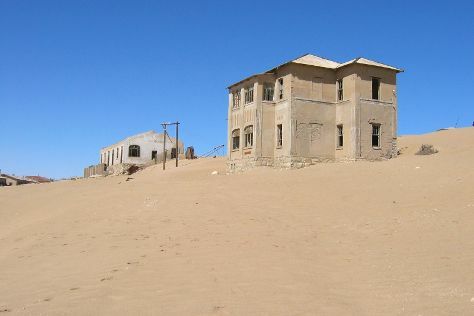 Lüderitz tourism centers around its well-preserved colonial Art Nouveau architecture and diverse wildlife. On the 27th (Mon), get to know the fascinating history of Diaz Point, take in the architecture and atmosphere at Felsenkirche, and then examine the collection at Luderitz Museum. On the 28th (Tue), you'll have a packed day of sightseeing: explore the fascinating landscape at Agate Beach, see a world frozen in time at Kolmanskop Ghost Town, and then steep yourself in history at The Goerke House. To find where to stay, more things to do, ratings, and other tourist information, go to the Luderitz trip builder app . You can do a combination of car and flight from Windhoek to Luderitz in 2 hours. Another option is to drive. When traveling from Windhoek in May, plan for little chillier days in Luderitz, with highs around 25°C, while nights are about the same with lows around 12°C. Cap off your sightseeing on the 28th (Tue) early enough to go by car to Aus. Aus is a settlement in the ǁKaras Region of southern Namibia. On the 29th (Wed), stroll through Wild Horses of the Namib. For ratings, where to stay, more things to do, and more tourist information, go to the Aus trip itinerary builder app . Getting from Luderitz to Aus by car takes about 2 hours. Wrap up your sightseeing by early afternoon on the 29th (Wed) to allow time for travel to Rosh Pinah. On the 30th (Thu), examine the collection at Rosh Pinah Geo Centre. To see maps, other places to visit, ratings, and more tourist information, you can read our Rosh Pinah day trip app . Drive from Aus to Rosh Pinah in 2 hours. On the 31st (Fri), you're off toWaterberg Plateau Park. 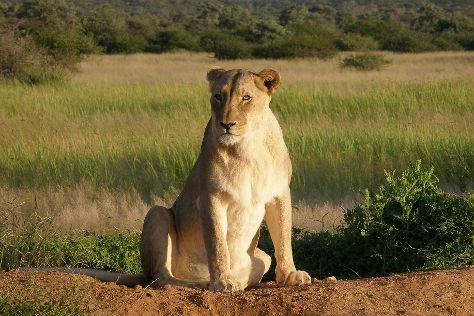 Start off your visit on the 1st (Sat): stroll through Okonjima Game Reserve. 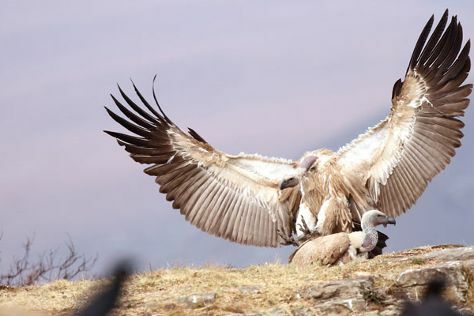 On your second day here, tour the pleasant surroundings at Mundulea Nature Reserve. To see photos, where to stay, more things to do, and tourist information, you can read our Waterberg Plateau Park attractions planner . Use the Route module to find suitable travel options from Rosh Pinah to Waterberg Plateau Park. In June in Waterberg Plateau Park, expect temperatures between 29°C during the day and 9°C at night. Cap off your sightseeing on the 2nd (Sun) early enough to go by car to Otjiwarongo. 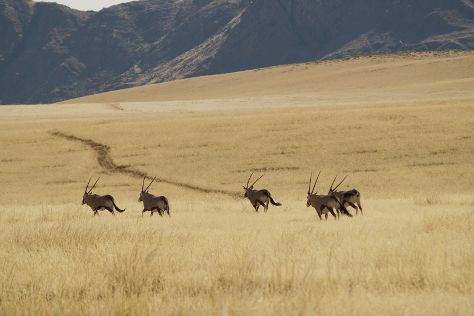 When touring Namibia's famous national parks and reserves, you can opt to base your trip in Otjiwarongo, a laid-back town boasting a number of attractions of its own. Kick off your visit on the 3rd (Mon): tour the pleasant surroundings at Africat and then tour the pleasant surroundings at REST - Rare & Endangered Species Trust. Get ready for a full day of sightseeing on the next day: tour the pleasant surroundings at Cheetah Conservation Fund. For reviews, more things to do, photos, and other tourist information, refer to the Otjiwarongo trip maker app . Traveling by car from Waterberg Plateau Park to Otjiwarongo takes 2.5 hours. In June in Otjiwarongo, expect temperatures between 29°C during the day and 9°C at night. On the 4th (Tue), wrap the sightseeing up by early afternoon so you can drive to Omaruru. Omaruru is a city and constituency in the Erongo Region of Namibia. Kick off your visit on the 5th (Wed): learn about winemaking at Kristall Kellerei, take in the exciting artwork at Tikoloshe Afrika, and then do a tasting at Erongo Mountain Winery. To find photos, maps, and other tourist information, refer to the Omaruru trip itinerary planning app . You can drive from Otjiwarongo to Omaruru in 1.5 hours. You'll set off for Damaraland on the 6th (Thu). Eschew the tourist crowds and head to Messum Crater and Brandberg Mountain. Get some cultural insight at Twyfelfontein and Damara Living Museum. For where to stay, traveler tips, photos, and more tourist information, read Damaraland trip itinerary site . Drive from Omaruru to Damaraland in 2.5 hours. June in Damaraland sees daily highs of 35°C and lows of 11°C at night. Cap off your sightseeing on the 9th (Sun) early enough to go by car to Hentiesbaai. On the 10th (Mon), make a trip to Zeila Shipwreck. Here are some ideas for day two: contemplate the waterfront views at Cape Cross. To see photos, other places to visit, ratings, and more tourist information, you can read our Hentiesbaai trip itinerary planner . You can drive from Damaraland to Hentiesbaai in 2.5 hours. Wrap up your sightseeing by early afternoon on the 11th (Tue) to allow enough time to drive to Swakopmund. Nestled on Namibia's Atlantic coast and surrounded by the sand dunes of the vast Namib Desert, the resort town of Swakopmund enchants visitors with its distinct German colonial architecture and pleasant climate. You'll discover tucked-away gems like German Evangelical Lutheran Church and Nature & Wildlife Tours. Explore Swakopmund's surroundings by going to Walvis Bay (Walvis Bay Waterfront, Kayaking & Canoeing, & more). 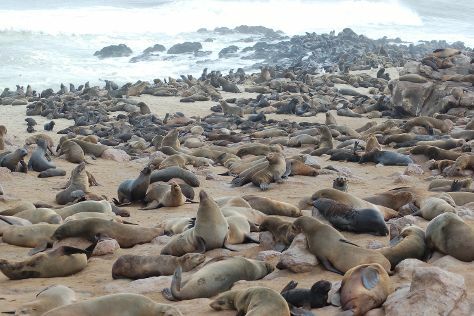 There's still lots to do: identify plant and animal life at Wildlife Areas, don't miss a visit to Woermannhaus, snap pictures at Swakopmund Jetty, and indulge in some personalized pampering at some of the best spas. To see reviews, traveler tips, photos, and more tourist information, you can read our Swakopmund online trip builder . You can drive from Hentiesbaai to Swakopmund in 3.5 hours. In June, plan for daily highs up to 26°C, and evening lows to 12°C. Finish your sightseeing early on the 17th (Mon) to allow enough time to travel back home.